Taxenbach is a market town in the Pinzgau area of Salzburg. It has a total population of approximately 2,800 residents. For many centuries, Taxenbach was home to a court of justice - which was closed down in 2002. The town is situated in the Salzachtal, it is therefore well-connected to the railway and the motorway. This helped the town to build up a commercial and industrial sphere and make it independent from tourism as the only source of income. Taxenbach is close to the border to the Pongau region, with the two economic powerhouses of Schwarzach and St. Veit within easy reach. On the Pinzgau side, there is only Lend in between. Taxenbach was first mentioned in a document from the 10th century. A document from 1150 hints towards a castle in Taxenbach, since it refers to a landlord from this village. The court of justice mentioned above was opened in 1228. The castle of Taxenbach was burnt down in the peasant wars of 1525/1526. In 1778, a Pfleggericht (local administration) was built. With administrative reforms of 1850, Taxenbach became an independent municipality. For sightseeing, note the two parish churches of Taxenbach and Eschenau. 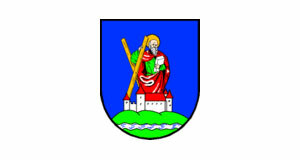 The latter was once an independent municipality and was incorporated into Taxenbach only in 1938. For the local economy, agriculture, tourism and forestry are major sources of revenue. In addition, there is the aluminium plant in Lend with its associated power plants. One of them can be seen in the Kitzsteinklamm, a good destination for some easy, but rewarding hiking. There are six schools and many SME service companies in Taxenbach.